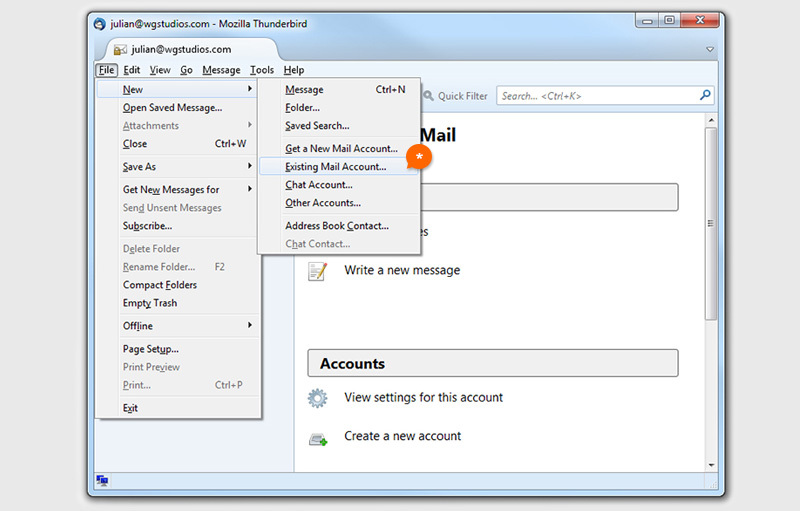 Fill the basic information to see if the account already exists. A. 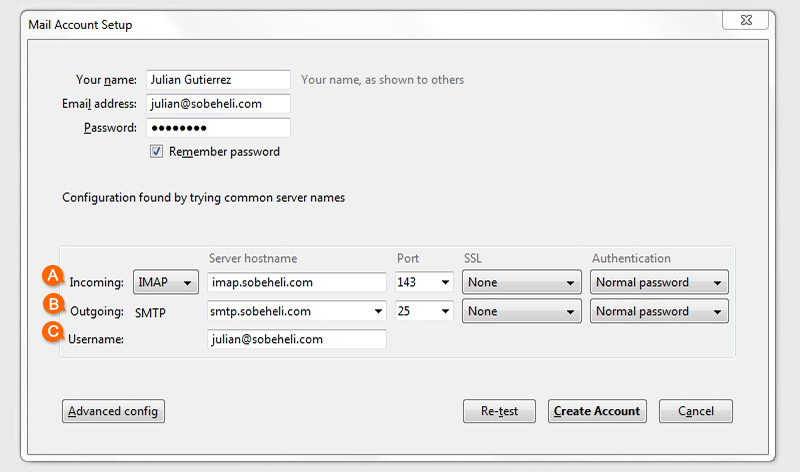 Your name: Julian Gutierrez (This is the name that will be shown to the others). 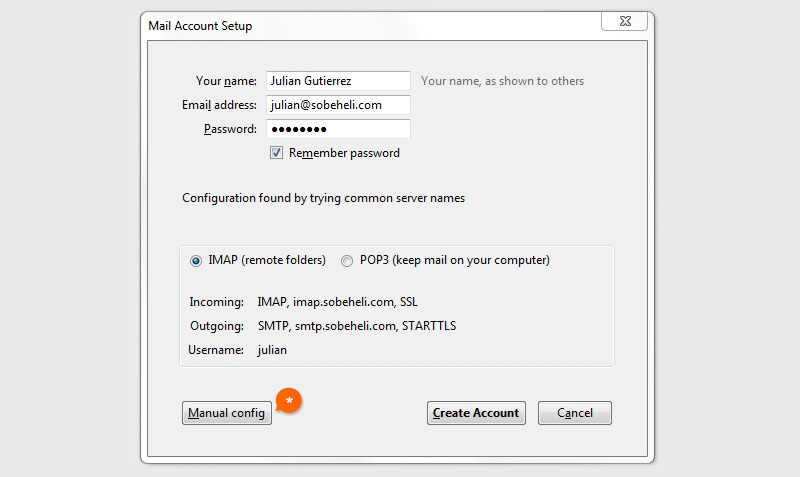 Let's config the incoming mail server and outgoing mail server. Done! 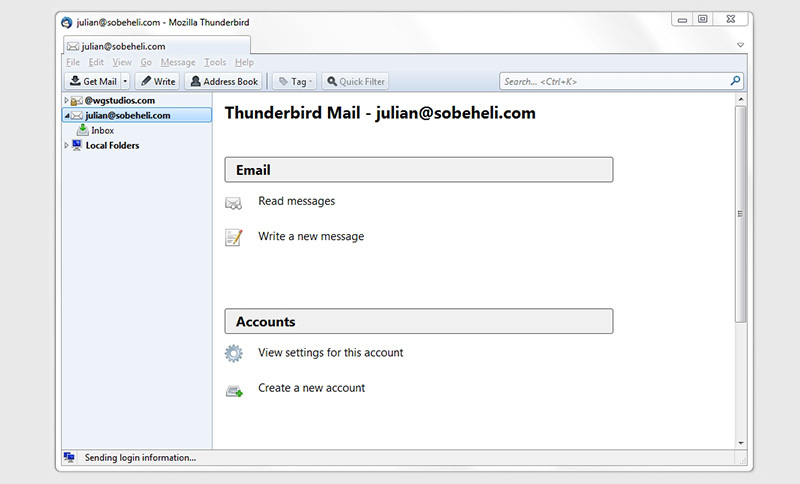 you can now check your email in Thunderbird.